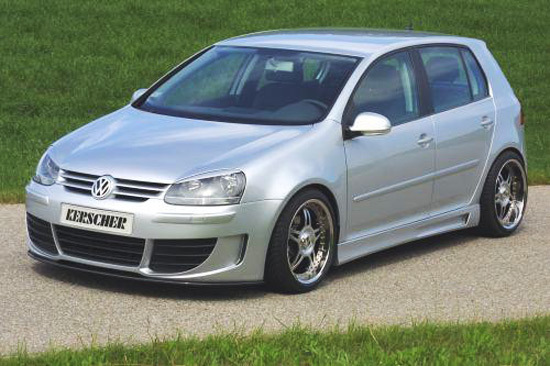 German tuner Kerscher has available a bodykit for the fifth generation of the Volkswagen Golf. So the little VWGolf’s muscles are now more visible thanks to the front bumper with three big openings for additional cooling. There’s a nice lip under it also. Kerscher body kits are made of highest quality fiberglass. Complete ABS Plastic Front Bumper sport edition by Kerscher Tuning, with spoiler splitter. Complete ABS Plastic Rear Bumper by Kerscher Tuning.